No mother intentionally gives her children “Mommy leftovers.” But many parents—even homeschooling parents—let themselves become so busy with older children that they neglect to provide their preschoolers with what they really need. Some of these parents are simply “laid back” by nature, believing that preschoolers will pick up what they need to know through osmosis. Others muddle through their days with no routine, reacting to their preschoolers rather than planning for them. It is true that preschoolers DO pick up a lot of learning by observing their older siblings and watching their lessons. They learn a lot through real life experiences, as well. But they learn even more when they are provided with developmentally appropriate activities that are planned just for them. We spend time planning activities for our older children—don’t our preschoolers deserve a little time and planning, too? Can’t we give them just an hour or two of undivided attention every day? I think we can, and we should. How do you know you are giving your preschoolers “mommy leftovers?” Perhaps you have begun to feel guilty about the amount of time and attention (or lack thereof) you are giving your preschoolers. Maybe you miss the close, physical and emotional attachment you had to your preschooler when he was a baby (growing up shouldn’t lesson the attachment. Strong attachments equal healthy social/emotional development.) Maybe you’re not sure if you are doing your best for your preschooler--or if you are giving “mommy leftovers”. Here are some challenging questions that will help you decide. Remember, mommy leftovers have as much to do with your attitude towards your children as they do with the amount of time you spend with them. -Do you have a daily routine in place for your preschooler? Does it include art, music, reading aloud, and other developmentally appropriate activities? -Do you spend time talking (having conversations with) your preschooler everyday? Remember, conversations aren’t conversations without listening and talking—a back and forth proposition. - Is your whole mind engaged with your little ones? Or do you find yourself acting like you are listening to your preschooler, when in fact you have tuned them out? -Do you play with your preschooler on a regular basis? Do you enjoy observing your child’s play? -Do you read aloud to your preschooler several times a day—providing them with at least a morning “story time” a story before nap, and before bed? -What is your attitude towards your preschooler? Do you get your preschooler involved in play or learning activities because you want to provide enriching activities for him, or because you want him busy and “out of your hair” so that you can school your older children? -Do you consider your preschoolers to be a blessing to you and to your day? Or do you consider them to be interruptions? -Do you spend one-on-one time with your preschooler everyday? -Is your preschooler secure in the love and relationship you provide? OR—is your preschooler constantly vying for your attention? Have you noticed a pattern of misbehavior that is disturbing to you? Remember, for many preschoolers, even negative attention is better than no attention. If you answered, “NO” to several of these questions (the bold print), you might be giving your preschoolers “Mommy Leftovers.” If you want to change this, I’d encourage you to look over the questions again, and think about doing the opposite. What would your relationship with your preschooler be like if you did? What would happen if you set up a simple daily routine just for your preschooler? Even an hour a day can make a world of difference. What if you made an effort to converse with your preschooler, play with your preschooler, and really be there? I believe your relationship would grow closer…your preschooler’s behavior would improve…his learning, as well as his vocabulary would begin to skyrocket. You would be happier, and so would your preschooler. -Pray over your relationship with your children and your attitude towards them. Ask God to change your heart in regards to your preschooler. -Retrain your habits: Set an alarm for 20 minutes over and over, all day long. Every time it beeps, take some type of positive action towards your preschooler. Talk with your preschooler. Check on him if he is playing independently, and compliment him on something-anything he’s doing that is praiseworthy. Smile at him. Let him know that you love him, and/or say something kind and encouraging to him. 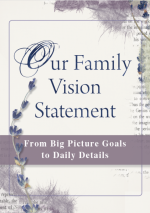 -Establish a simple, daily routine that includes activities planned just for your preschooler. 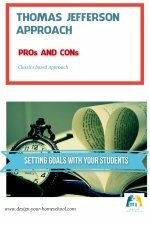 Study your options and the best ways to integrate your preschooler’s routine with the routines of your older children. Let’s give our children more than “Mommy Leftovers”—let’s give them our very best. Susan Lemons is the mother of four children who have been homeschooled “from birth”. She holds a Bachelor of Science degree in Child Development and taught preschool for eight years. 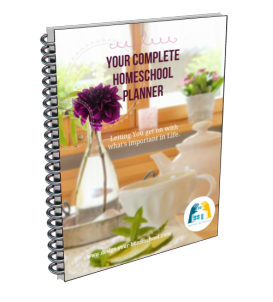 Author, speaker, and mentor, Susan is committed to helping new and prospective homeschool families get off to a great start. 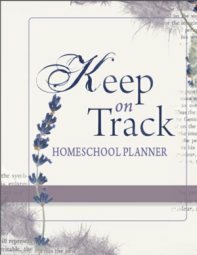 Susan’s book, Homeschool And Beyond: A Comprehensive Guide to Early Home Education, was released in March 2010. 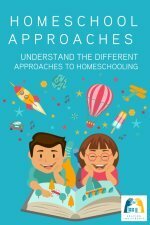 Susan blogs about homepreschooling and homeschooling at www.susanlemons.wordpress.com. Comments for Are You Giving Your Preschoolers "Mommy Leftovers?" For me parents are the main part of our preschoolers basic education. As they say education starts at home.